Clive Emerson Hough was born in Stranraer, SK on March 28, 1923, the only child of Ray & Rose Hough. He passed away at Rose Villa on March the 28, 2019 on his birthday at the age of 96. He is lovingly remembered by his wife of 67 years, Betty; son Derril (Karen) Hough and family Melissa (David) children Asher and Aria, Tanya (Bevan) children Ella and Grace; daughter Sandra (Murray) Cordes and family Ryan (Jane) children Lucy and Eve, Todd (Alisha), Derek (Elena) children Garren and Nash; daughter Shelley (Dwayne) Low and family Trina (Miro), Chelsea (Cameron) children James, Owen and Julie, Travis. He was predeceased by his parents Ray and Rose Hough and his in-laws Alex and Elizabeth MacDonald, his brother-in-law Charlie, sister-in-law Denise MacDonald, sister-in-law Margaret (Cyril) Burrage and brother-in-law Jock (Eileen) MacDonald. Clive was raised in the Madoc School District where he attended school until Grade 9, then attended Glamis for Grade 10. He finished school in Sovereign, SK. He then joined the RCAF as an Airframe Mechanic in 1943 and was discharged in December of 1945. Upon discharge he returned to the Glamis district and became a full-fledged farmer. On October 9, 1951 he married Betty MacDonald who was a teacher at the Glamis School. He was involved as a coach and manager of hockey and baseball as well as a scout leader. He enjoyed curling, bowling, golfing, camping, dancing and traveling. He was a member of Sovereign and Rosetown Masonic Lodges, Eastern Star, Rosetown Legion, Glamis and Rosetown United Churches and the local Good Sams Club. In March of 1979, Clive and Betty moved into their new home on Herschel Place in Rosetown where they resided until March 2014. They then moved to the Oasis Condominium. Clive spent his final year in the Rose Villa. Clive created a family that he had always dreamed of, passionately worked the fields for as many years as he physically could and, most importantly, was one of the happiest people in the world. He carried himself with integrity and had an amazing character. He was super outgoing, always joking around and would talk to literally anyone who crossed his path. As a result, he was loved by anyone who had the privilege to meet him. 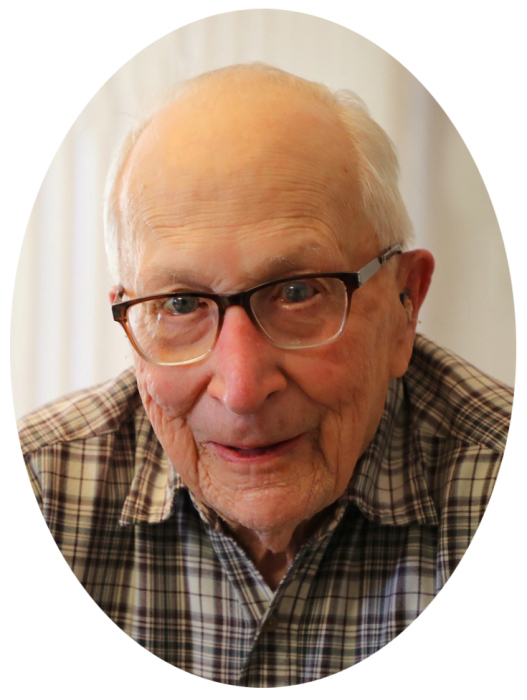 The Celebration of Clive’s life was held on Wednesday, April 17, 2019 at the Rosetown United Church at 2:00 p.m. with Reverend Jo-Ann Hills officiating. In lieu of flowers, donations in memory of Clive may be made to the Alex Ositis Foundation, P.O. Box 1251, Rosetown, SK S0L 2V0 or to the Rosetown United Church, P.O. Box 506, Rosetown, SK S0L 2V0.